Magic Holidays: Why Destination Wedding? 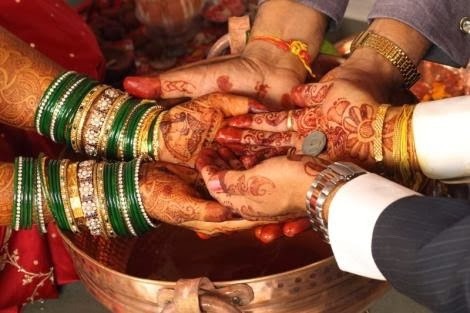 Special occasion with special people: Instead of inviting entire family tree, facebook friendlist and making your wedding as crowded as a local fair, it’s a better option to have lesser guests but people who actually make a difference – for the groom & the bride. Fun, family reunions: at wedding with selective guests, beautiful locations & planned arrangements, the results are smiles, laughter & memories to cherish forever. Close group of people at an auspicious & happy occasion get time to re-live memories, bond with people who they could not connect to because of time & distance. Fairytale of your life: there’s a saying – Once in a while, right in the middle of an ordinary life, love gives us a fairy tale. Why not celebrate the romantic ‘Gala’ of your personal fairytale at a gorgeous spot on earth? Have a break, have a wedding: Imagine going to an awesome location, relaxed & peaceful, do some shopping, and in the evening – get ready for the wedding – a grand celebration at an amazing spot! Getting married or participating a wedding at such a place is fun, exciting and definitely an experience you will not want to miss. Save time: while being on for a destination wedding, the best thing is the schedule does not stretch more than three days to a week. Hence, once the ceremonies are performed, the feasts celebrated, the guests as well as the newly-wed couple have option to explore more of the destination or to travel on to more spots which are close or easily connected. Hence, the new couple can trail off to their honeymoon right away while other couples can plan their second trip of honeymoon as well. Easy on pocket: planning for a destination wedding definitely influences budget. While, the guest list shortens, time period is made just apt and venues along with travel options are booked, often if you opt for wedding planners or destination wedding spots, special discounts & services are provided to the families. Even without planners, often at bulk booking – tickets or hotel reservations provide with lavish discounts and complimentary services. We can come up with way more reasons why you should probably get married at your coveted destination, but the fact is – nothing is actually enough when it comes to having a perfect wedding. Enjoy your big day, make the memories you’ll cherish forever.